When you’re skiing in one of the world’s biggest areas, especially for the first time, it is of course tempting to buy the full region pass and spend your days travelling to its furthest reaches and back again. That sense of travelling from resort to resort over snow always gives you a buzz, so why not? Well, there’s certainly nothing wrong with that approach to your ski holiday but the truth is some of the French ski regions are so big and have so much to offer that if you disappear off from your local slopes each morning, you might be missing out on some of a region’s best skiing, that just happens to be right on your chalet’s doorstep. Indeed the ‘local area pass’ within many of France’s giant ski regions is likely to cover a bigger area than 90% of stand-alone ski areas offer in their entire domains. The Grandes Rousses ski area is a good example home to five different ski villages, 250km of groomed piste and much, much more great off piste terrain, one of the world’s biggest lift-served verticals at more than 2,200 metres and a great fast lift network to get up to the top of it, it’s very tempting to head off to the far side each morning, especially with the world’s longest black run, the famous Sarenne piste, here too. Snow is guaranteed due to the Pic Blanc Glacier towering up to 3330m above, and with more than 300 days of sun each year – so is a tan! But if you’re lucky enough to be staying in the cosy village of Vaujany, that could be a mistake. True it has one of the biggest and fastest cable cars in the world to take you up out of the village each morning, but you don’t have to carry on every day. That same lift and others local to the village accesses some of the region’s best runs and most exciting off piste terrain. And the icing on the cake is that the local pass costs about 35% less than a regional ticket. If you prefer to keep on the prepared piste you’ll find some of the world’s longest ski runs on your doorstep, with everything from glorious, fast, wide cruisers to some of the steepest pistes on the planet, all taking you back down to Vaujany. Besides famous runs like the afore-mentioned Sarenne, and, almost as long, Chateau Noir, as well; as the infamously steep ‘Tunnel’ which runs straight down the front face, less well known favourites include Bartavelles, La Fare, Stade and Le Vaujaniate. La Fare is in fact a key section of what Vaujany-based chalet holiday company Ski Peak has christened their ‘Champagne run’, a very steep and always challenging descent whatever the conditions that begins with Le Tunnel, before continuing to Les Rousses, finishing with La Fare. Altogether the combined runs offer 2,200 altitude difference, which the company has calculated as the greatest on-piste vertical descent linked into a lift system in the world, without requiring another lift from top! Le Stade has been the slalom slope for Vaujany’s racers for a long time. As of last year however it has been widened, lengthened and re-shapped somewhat, in order for it to be classified as a proper downhill slalom slope. It played host to one of the first international races of the season in early December, stamping it’s name onto the international ski scene. It won’t be long until it is well renowned. 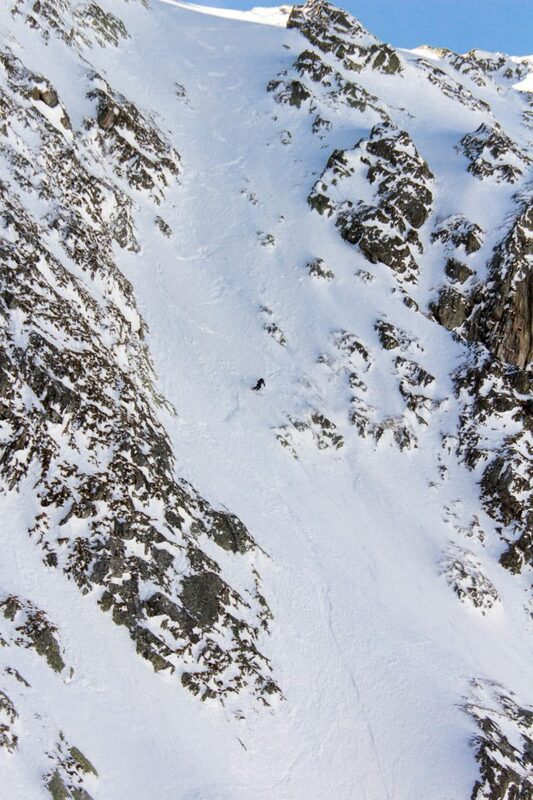 When there aren’t races taking place, it’s a whirlwind of a piste to glide own at your leisure. 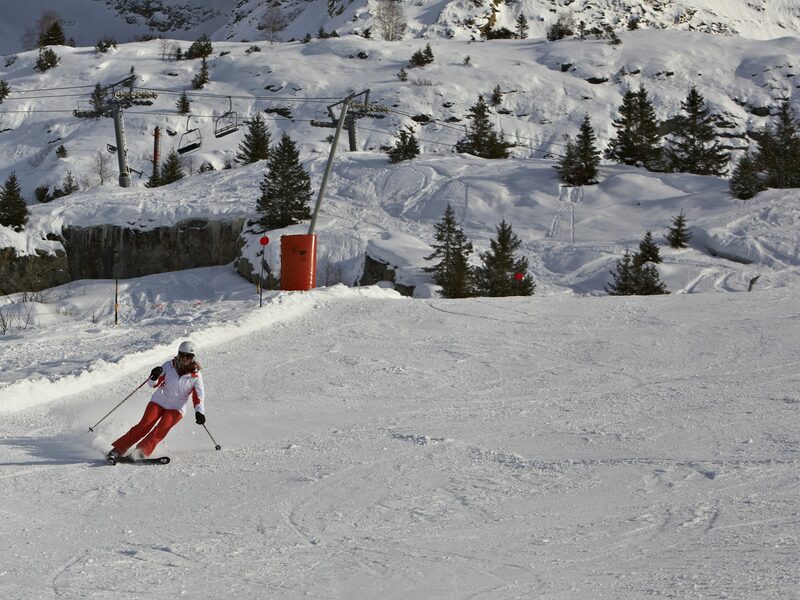 Vaujaniate is one of the lowest pistes in the Alpe d’Huez resort, finishing at around 1350m. It is north facing and also in a valley so it holds its snow right up until mid April, something rather remarkable for the altitude. It is classed as a blue so the perfect piste to finish your ski day on as a family, after picking up any kids from ski school. This makes it a very special descent in our family friendly minds. 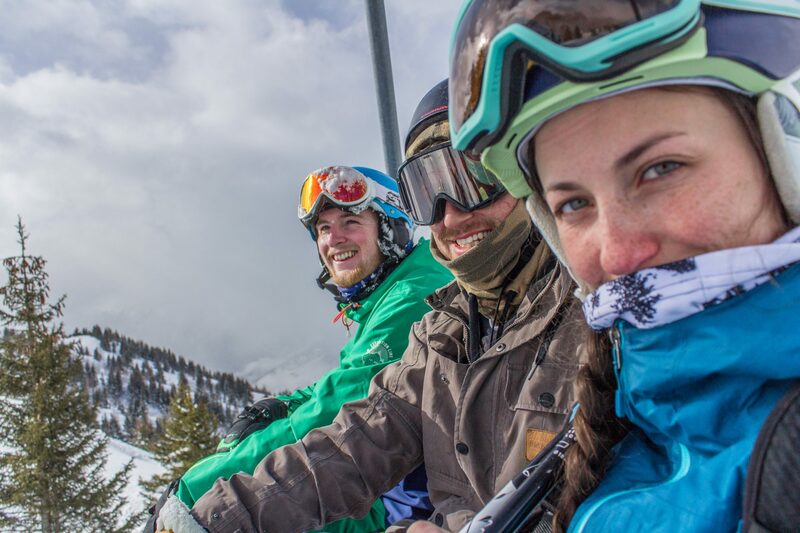 For more experienced skiers who are experienced off-piste skiers – or for those who aren’t yet but would like to employ a guide to show them – the possibilities are vast and varied. The huge Massif des Grandes Rousses towers above the village to the north-east, creating a freeride paradise for those “in-the-know” and properly trained and equipped with avalanche transceivers, probes and shovels. Much is accessed via the amazing Vaujany cable car, one of the most spacious in the world with each of its cabins able to hold 160 people, and almost always under-utilised so you’re not crammed in like sardines. This opens up an area with mostly north-facing terrain, so the snow stays longer and in better shape. It stays untracked longer too as the area is quieter with plenty of freeride terrain including glaciers, couloirs and some tree skiing, especially the Montfrais area. Some of the best off piste routes from the top of Les Grandes Rousses include the Perrin Sud, Fleur, P10 and the Epaule de La Fare. The Perrin Sud, famed among freeriders that know the terrain, as it allows them to really open up their engines. This is one of the easiest trails to locate due to the gulley that can be seen clearly when traversing from the top. This helps it to be a great starting point for those wanting to explore more remote terrain. Fleur is one of our favourites; a powder bowl, located underneath the cable car. A beautiful wide descent that can be seen by all. However, the entrance is very hard to find and the exit is down a very long, thin chute – this is not for the fainthearted! The P10 couloir (expertly named as it starts at the 10th Pylon) is one the more interesting routes back down to Vaujany. Beginning narrow at the top it widens with a nice steep lower pitch and finishers with an amazing natural half-pipe, emerging above Vaujany’s Montfrais powder fields for an easy run home. Epaule de La Fare is the shoulder which runs alongside the La Fare waterfall. The waterfall route is known as the gulley de la fare which, can be incredible given the right conditions. We however prefer the Epaule (shoulder) as it’s more reliable and brings you out below the headland with a nice undulating route back into Montfrais. 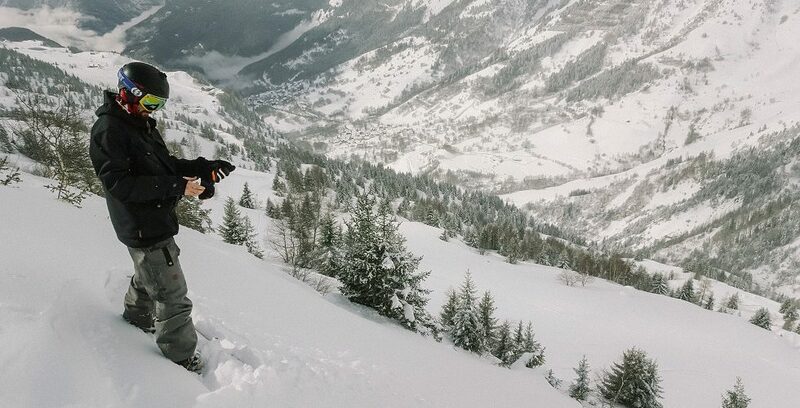 Whether you choose to head off-piste for some freeriding or stay on those long, empty, groomed slopes you’ll still find more than enough to keep you busy for at least a week if you just opt for the local area pass at Vaujany, plus you’ll save a few Euros too. Ski Peak provide the best accommodation in resort so please do get in touch with them if your tempted! January Flash sale NOW ON! Free email course available for more information, covering topics from how to plan a ski holiday to the Alps’ best kept ski-cret. Simply head to skipeak.net to sign up!